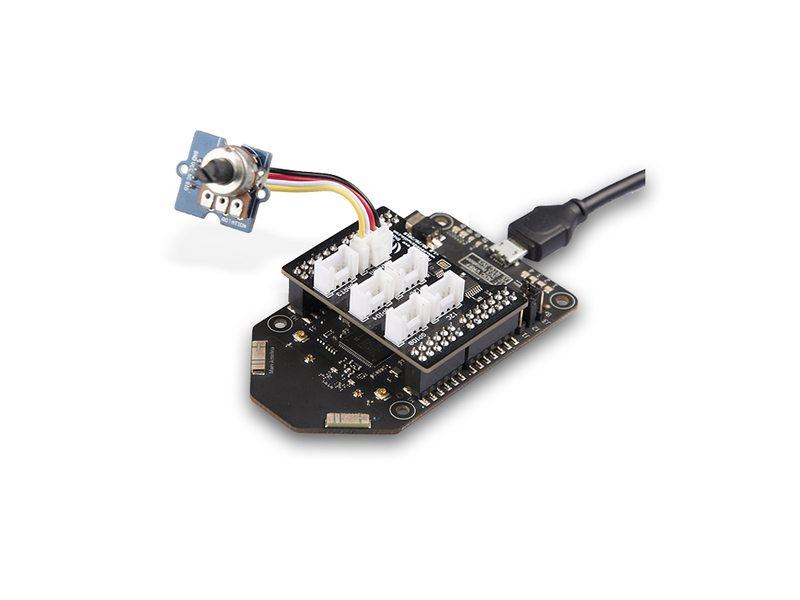 This product is a basic starter kit for Azure Sphere MT3620 Development kit. 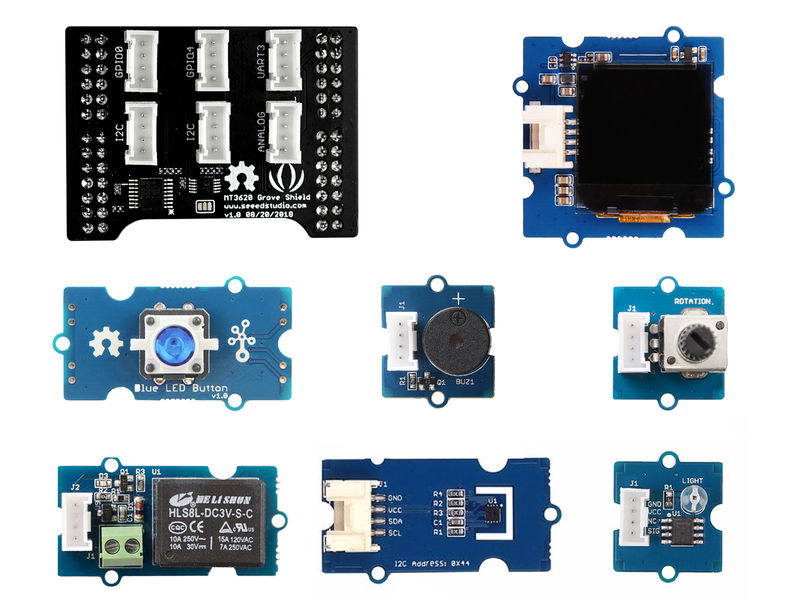 The kit integrates SeeedStudio’s most popular ready-to-use modular – Grove, aims at helping developers get started quickly and experience the Azure Sphere solutions. Microsoft Azure Sphere is a solution for creating highly-secured, connected, MCU-powered devices. Azure Sphere brings together the best of Microsoft’s expertise in cloud, software and silicon—resulting in a unique approach to security that starts in the silicon and extends to the cloud. Together, Azure Sphere certified MCUs, the Azure Sphere OS, and the Azure Sphere Security Service provide you with the confidence and the power to reimagine your business and create the future. Please note that Azure Sphere MT3620 Development kit is required but not included in this Starter kit. You can purchase it here. Since Azure Sphere SDK has not yet supported ADC and I2C on MT3620. 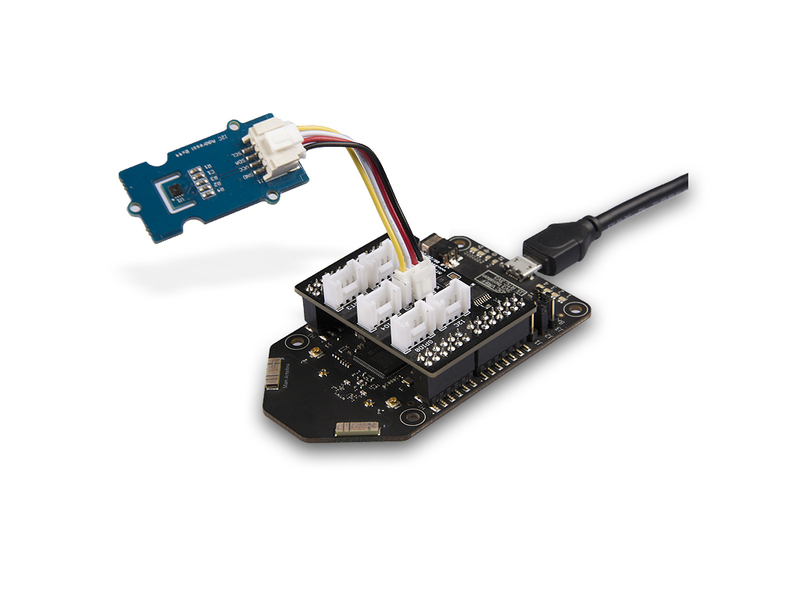 This shield serves as an interface between MT3620 UART port and external I2C devices, like the I2C temperature sensor. 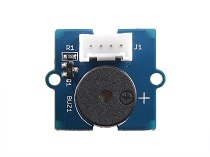 The basic function of the shield is to help to connect to I2C external device. 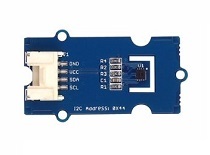 By using an I2C compatible ADC chip, developer can also read the analog data from analog port. MT3620 Grove Shield includes 2 chips, AD7992(Anlog to I2C) and SC18IM700(I2C to UART) to enable the ADC and I2C function from hardware side. So the analog sensors' signal go through AD7992 and then SC18IM700 to UART of develop board. 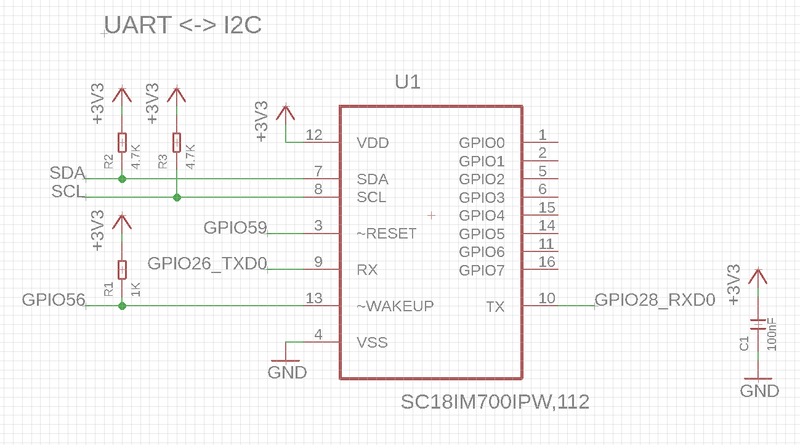 The I2C sensors go through SC18IM700 to UART of develop board as well. The AD7992 is a 12-bit, low power, successive approximation ADC with an I2C-compatible interface. 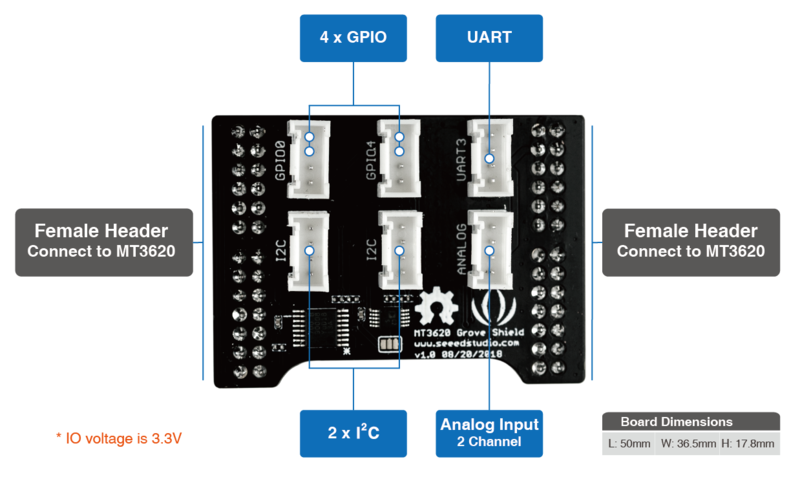 It transforms the anlog signal A0, A1 to I2C data. The SC18IM700 is designed to serve as an interface between the standard UART port of a microcontroller or microprocessor and the serial I2C-bus; this allows the microcontroller or microprocessor to communicate directly with other I2C-bus devices. 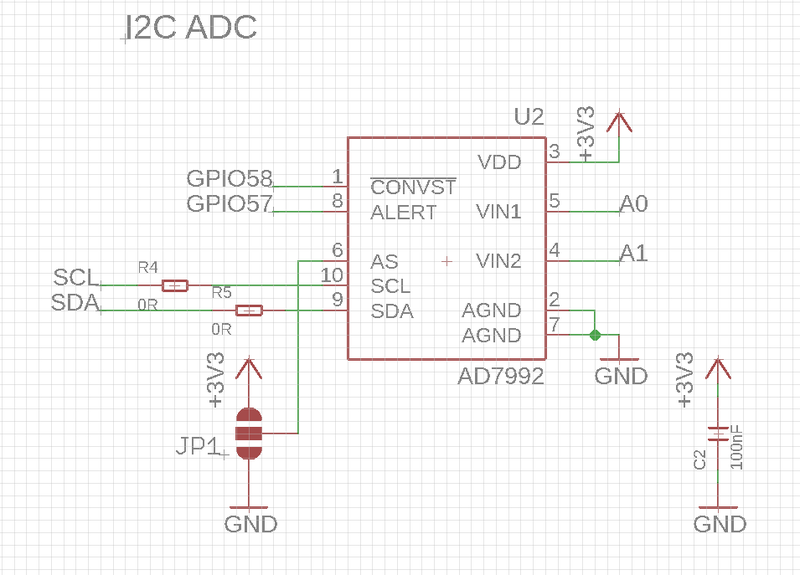 It transforms SDA/SCL signals to GPIO26_TXD0 and GPIO28_RXD0. 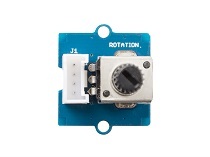 Analog Input Grove - Rotary Angle Sensor Produce an analog value, which can be read by ADC. To understand how Azure Sphere works in a real-world setting, consider Contoso, Ltds cenario. If you have an Azure Sphere development kit that has not yet been used, complete these steps first to get up and running. 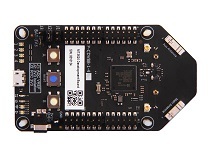 This is library for Azure Sphere MT3620 Grove Shield, the shield enhences Azure Sphere by adding I2C interface and Analog input.Here is the tourial how to use the MT3620 Grove Shield Library. Here is the example how to read analog signal through MT3620 Base Shield. Step 1. Connect Grove - Rotary Angle Sensor to analog port of MT3620 Grove Shield. Step 2. Plug the MT3620 base shield to Azure Sphere MT3620 Development board. Step 3. Plug the USB cable to Azure Sphere MT3620 Development board and PC. Step 7. Right-Click the project name of your application, select General > Target API Set, click the check box and set as 1 if you use the Visual Studio Community version and please skip this step if you use the Enterprise version. Step 8. Click the Remote GDB Debugger, then you rotate the sensor and you will see the output as below. Here is the example how to write digital signal through MT3620 Base Shield. Step 1. 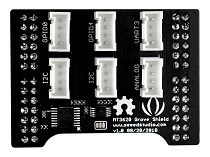 Connect Grove - Buzzer to GPIO port of MT3620 Grove Shield. Step 8. Click the Remote GDB Debugger, you will see the output as below. Here is the example how to read Grove - Temp&Humi Sensor(SHT31) I2C signal through MT3620 Base Shield. Step 1. 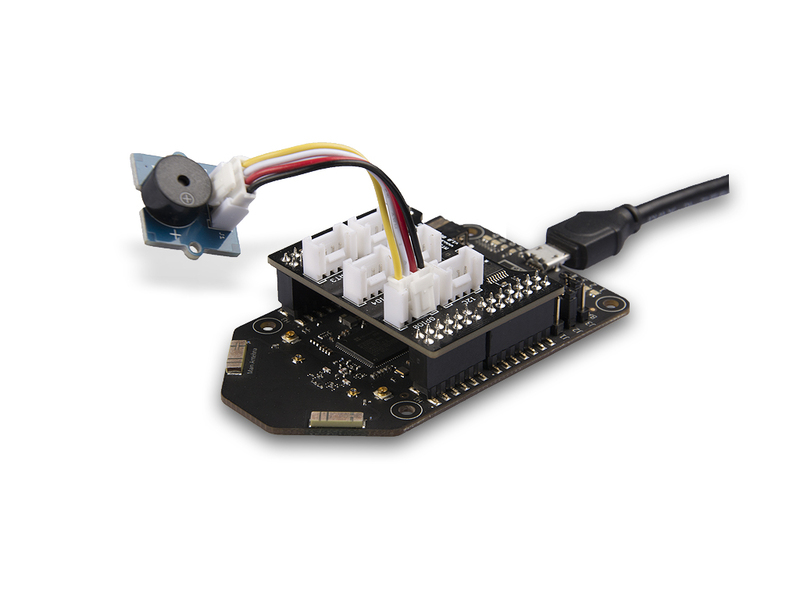 Connect Grove - Temp&Humi Sensor(SHT31) to I2C port of MT3620 Grove Shield.